From August 2014 “Center for Strategic Litigations” HR NGO in collaboration with “Lori Marz Young Economists’ Association” NGO implements a project entitled “Civil Participation in drafting the Constitution of the RA”. The project aims to promote the civil participation in the development of the Constitution Draft of the RA through discussing the Concept paper and collecting observations and concrete proposals from experts and interested parties mainly from the Lori region focusing also on promotion of participation from the outside of the capital city on the decision making processes. Conduct a TV broadcast to inform a larger target of auditorium about the Concept paper. Conduct 4 round tables with 1. Active youth, 2. US alumni, 3. NGO representatives and 4. Advocates in Lori region to present them current approaches regarding the Concept paper and collect their proposals regarding the Constitution Draft. Establish an expert team to summarize the proposals collected from the beneficiaries and develop a full and professional Proposal Paper targeting each chapter of the Constitution. Present the Proposal Paper to the project target to ensure civil active involvement into the Constitution draft development processes. Teenagers are more likely to be influenced by advertisements and unhealthy images which make them vulnerable towards such things as smoking, drinking, drugs or unhealthy diet. Throughout her Project Smile grant Ani Derdzyan who is the Alumni Fellow of Undergraduate Exchange program supported by the US Department of State organized a seminar on healthy lifestyle for schoolchildren at Darpas village’s secondary school. 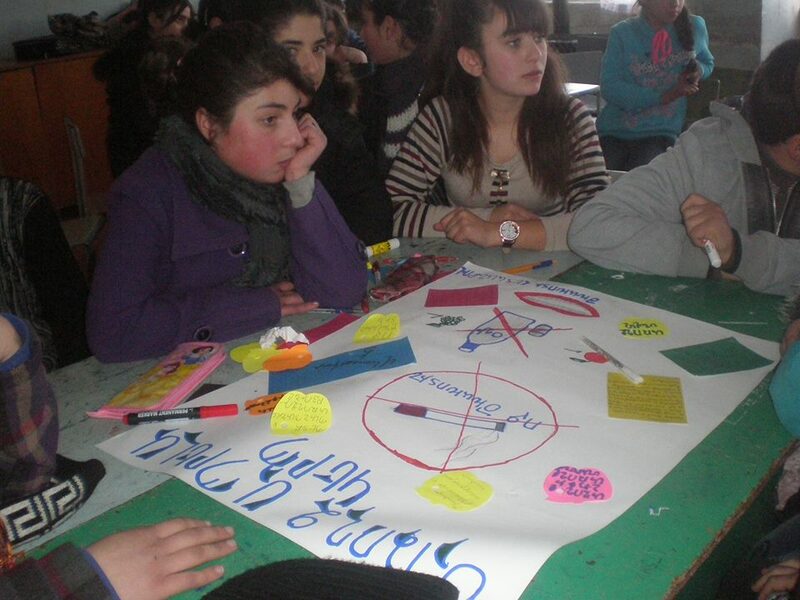 The project was organized in cooperation with Youth Center for Democratic Initiatives NGO. Posters, informative leaflets, and Power Point presentations including common facts and statistic data were prepared to raise awareness on such issues as smoking, drugs, alcohol and unhealthy diet. The participants were also introduced to the proper ways of using computers. Special interactive games were prepared for the seminar. The children were asked to work in groups and prepare their own posters on healthy lifestyle and present them to the others. In the end the participants were introduced to Beyonce’s “Move your body” song and the moves to the song. From September 2011 “Center for Strategic Litigations” HR NGO implements a project entitled “Supporting Human Rights Cases through Legal Education”. The aim of the project is to assist the increase of number and improvement of quality of the applications sent to the European Count on human Rights from Armenia. Within the framework of the project it is planned to conduct a training session for 35 lawyers and advocates practicing in Lori Region on the topics of “Introduction to the European Convention on Protection of Human Rights and Fundamental Freedoms” and European Court of Human Rights, “Procedure for applying to the European Court”, “Preparation of an application to the European Court”. The project also includes individual legal consulting of lawyers, establishment of a professional library, organization of professional discussions, launch “Center for Strategic Litigations” HR NGO based resource center for advocates. 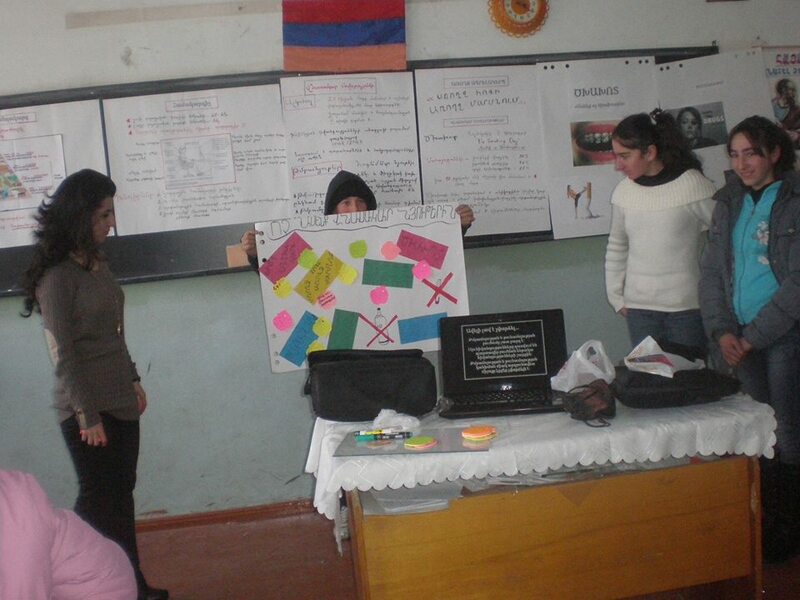 From November 1, 2011 “Center for Strategic Litigations” HR NGO started implementation of a project entitled “Monitoring the implementation of the recommendations of the European Committee for the Prevention of Torture by the Republic of Armenia”. The aim of the project is to monitor the implementation the obligations undertaken by the Republic of Armenia within the frames of “European Convention for the Prevention of Torture and Inhuman or Degrading Treatment or Punishment”, drawl of public attention towards the importance of public supervision mechanism active implementation. Within the framework of the project it is anticipated to conduct comparative analyze of recommendations developed by European Committee for the Prevention of Torture and the responses of Armenian government and to collect information from the respective Armenian institutions. By the end of the project it is expected to publicize a study on the effective implementation of the reforms mentioned in the government responses to the recommendations of European Committee for the Prevention of Torture.